With February on the calendar, thoughts turn to the hearts, flowers, and romance of Valentine’s Day and the promises it brings of finding lifelong happiness in a new relationship. Similar feelings arise when customers implement SharePoint solutions. This month, we take a closer look at some of the challenges frequently associated with SharePoint solutions and some way to keep the excitement of the relationship with this great technology alive. In any relationship, it is important to understand what is valued. Likewise, when it comes to dealing with documents, there needs to be specificity on what information needs to be retained, archived, and the appropriate schedules for those activities. With the growing passion of every organization’s need for increased collaboration and information management has quickly pushed up SharePoint adoption rates. When an organization implements SharePoint, it is often only a short time before a massive numbers of documents are stored in its system. In the US alone, over 30 billion documents are used each year. 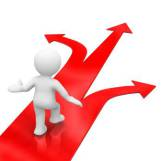 Where no clear document life cycle policy exists, problems begin to surface. One way to strengthen a SharePoint solution with respect to this challenge is to implement a more granular reporting capability. Reports providing usage details help determine how content should be re-organized for better use and to ensure proper compliance. Reporting also helps ensure content is actively used—an invaluable starting point when it comes to planning migrations. For an example of leveraging SharePoint reporting for better content usage, check out “Making the case for First Class Reporting“. 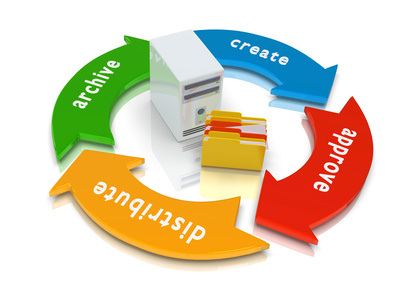 Archiving old content to file shares also helps with managing document lifecycle. PRA Health Sciences case study uses a product called SPListX from Vyapin to help them manage their trial related documents. One of the reasons to fall in love with SharePoint is its flexible environment that places users in control of setting up collaboration spaces without IT intervention. As great as this is, it is not without challenges. The flexibility in ease of set-up can result in a proliferation of sites and lists that persist long after the initial project or team goals have been met. Over time, this large number of lingering sites, lists, and documents degrade SharePoint’s performance while not adding value to the organization. In fact, over 60% of documents are obsolete. As such, it is important to have a clear process to determine those sites or lists that are actively used and to archive or purge the ones that are no longer required. Like two partners who know each other well enough to finish each other’s sentences, incorporating tools that better organize and classify content just makes the SharePoint solution better. Check out Vyapin’s SharePoint Information Organizer to see how it implements SharePoint. Implementing a new document solution is like introducing a new love interest to friends and family. Ideally, he or she will be fully accepted. In organizations, ideally users will willingly adopt new systems with enthusiasm and be thrilled about following new processes. The reality is that users want to do their work and not spend inordinate amounts of time completing information about documents. 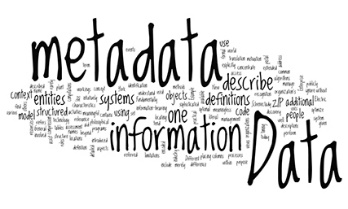 The other side of the story is that the more information or metadata available, the easier the information can be searched, reused, re-purposed, and migrated to achieve efficiency and savings. It is always a delicate balance. Augmenting SharePoint with tools to easily update and manage taxonomy and metadata, as well as re-organize content types, can give administrators the support they need to ensure their organizations realize full value from stored information. Take for example solution provider Qumulis who introduced Vyapin’s XPlica tool to its clients to help manage metadata and facilitate an important migration. This was a model of a successful relationship in action. Documents stored in SharePoint coupled with data from other organizational systems are better together than they are alone. As a couple, there is a greater power of information and as a result, users are more effective. IT departments will typically look for solutions that integrate existing line of business applications with SharePoint implementations. Regrettably, like a box of chocolate hidden away at the back of the cupboard, some vendor and home grown applications often contain information that cannot be easily accessed. A lack of flexibility in distributing information limits an organization’s ability to gain insights of the highest value. Here again there are tools that can help to make sure the cupboard is open and the goodies are ready for sharing. While SharePoint out of the box offers up some external data integration, there are limits to its capability. It is possible to close the gap using tools like External Data Connector which can query, extract, filter, and transport data from external sources to SharePoint. All relationships have their bumpy spots. It takes commitment to keep them thriving. SharePoint implementations spiral out of control when IT and Information governance policies are insufficient. Multiple sites, dead sites, incorrect access rights and the list of challenges goes on. Auditors start to ask questions, costs go up, users start to complain, and valuable time is spent addressing issues rather than progressing important organizational initiatives. Who has the ability to create sites and lists? What is the maximum upload size of a document? Which sites should be deleted and when? What content should be available internally versus externally? Implementing policies is critical and should remain the top priority, followed closely by a strategy to ensure the policies are easily followed. SharePoint functionality alone may not provide enough to fully meet an organization’s governance needs. Adding the capabilities offered by solutions such as SharePoint Farm Reporter can help to keep an organization in compliance with its governance and policy mandates. Nurturing a healthy, thriving SharePoint implementation with well thought out metadata, proper life cycle management, external connections, and governance is like building any great relationship. It takes time, focus, and sometimes a little extra help. In the end, the benefits returned will assure all concerned that it was well worth the effort.